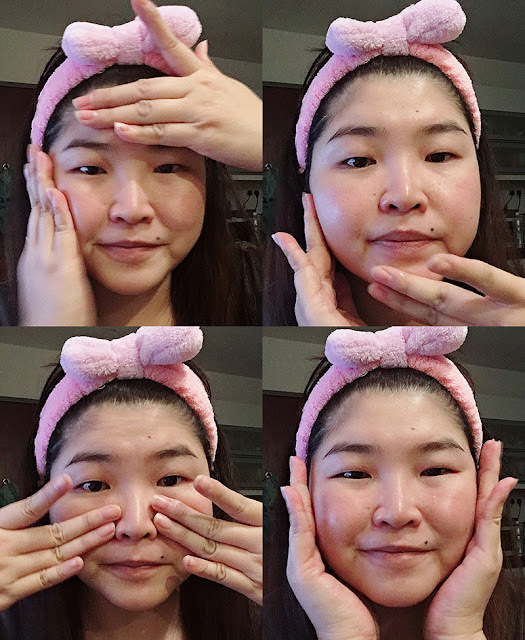 I kinda like the idea of probiotics skincare after blogging all about it here. Since they're good for skin immunity and skin health, I was really happy to have received some of their products to try at home. One of them is a best seller! Now I can tell people I use bacteria to make my skin beautiful lol. Here's what I am reviewing today from OMM. P.S: OMM products have no artificial colors, fragrance or preservatives. The first essence means the first thing after your double cleansing to use before any other skincare. 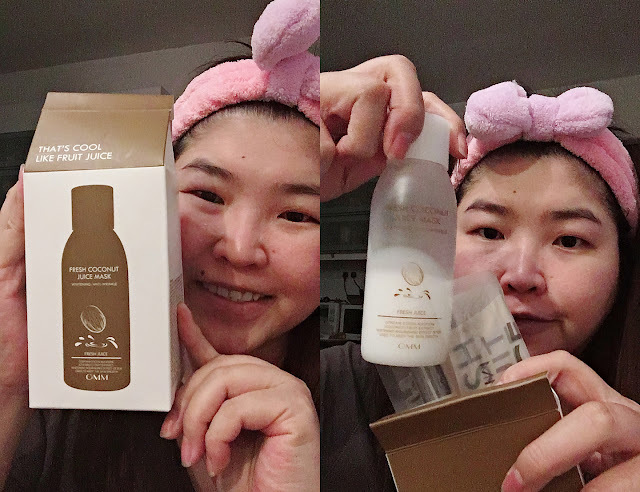 As always with K-beauty first essences, it's mostly concentrated with rich ingredients like fermented stuff + water. For OMM's best seller, theirs is a concoction of ingredients that I'm saying yes to. First, it has the Lactobacillus, then the underwater mineral rich Gangwon Deep Sea Water, Gangwon Seaweed Extract, Hyaluronic Acid, Seaweed Polysaccharide, Aloe Vera, and Squalene. All of which helps with moisture retention and repair in a nutshell. You may want to google the benefits of Squalene for the skin as brands such as Haba became popular for it. Brands such as The Original has a plant-derived squalene product as well. Lactofermentation (Fresh Ferment) process increases product’s nutrition value and absorbability. Essence’s nutrients form a superior moisturizing film to shield skin from moisture loss, leaving skin hydrated and energized without the sticky feel - OMM. Watery to the touch has a refreshing citrus-like scent. Fast absorption, not sticky. Skin feels soft, light and plump to the touch. Hydration significantly improved over 2 weeks of usage. Note: I had a slight sunburn on my face from my trip to Gaya Island, Sabah. I used this and notice that my skin condition improved greatly after a few days. I would like to continue using this and finish the bottle to see the best effect! Apply the first essence evenly on face 1-2 times daily in the morning and evening. * Once open it must be used in 6 months. Store away from sunlight. When I first spray this, I was 100% impressed with the product already. Like all sun protection, it's just a matter of preference because the main objective is to protect your skin from the sun's harmful UV rays. I mainly hate using sun protection because of the product itself - either too sticky, oily, oxides or creamy/heavy. I like my skin to breath - all the time. So I'm guilty of not wearing enough sun protection. BUT this may soon pass because this product is amazing! It gives the most amazing spread across a 45 degrees coverage, evenly with molecules so fine, so soft you don't even feel like you're putting on UV protection. It's so fine, I'm in love! If only I could show this but my current camera can't take that kind of macroparticles fast enough to be captured. The next best thing is you must go to the store and test it out yourself! Offers superior UV protection in an ultra-sheer mist. Easy-to-use and absorbs quickly into skin. Blissfully moisturizing and cooling to use as sunscreen and to brighten up your complexion. [EFFICACY] Protects skin from UV rays (SPF50+, PA++++); helps whiten skin and reduce wrinkles. This is a brightening, anti-ageing, UV spray. I mainly used it for UV protection and can't comment much if it has worked to whiten my skin or reduce wrinkles. There's a faint smell of typical sunscreen product. 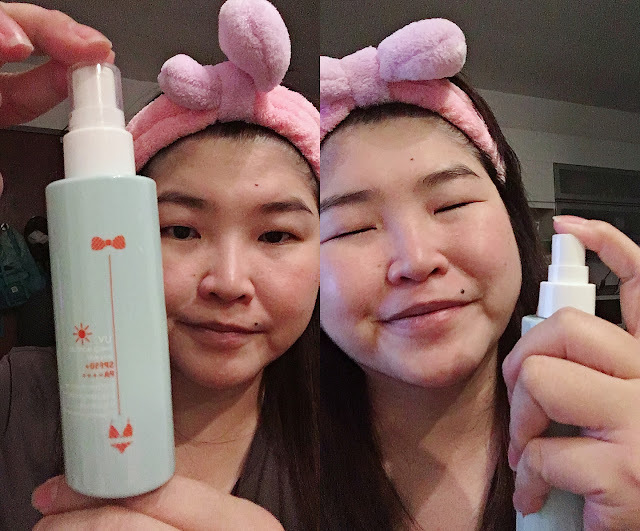 It's a spray mist and the product absorbs fast onto the skin. It's not sticky, and there's no heavy feel unless you're spraying a few layers on your skin. I highly recommend this if you're like me who hates the feel of sticky, oily, creamy or heavy "UV" protection on the face because this one is so sheer and light, it feels like a face mist instead of sunscreen. Shake the container. Hold a few inches away from the body and spray evenly and liberally. 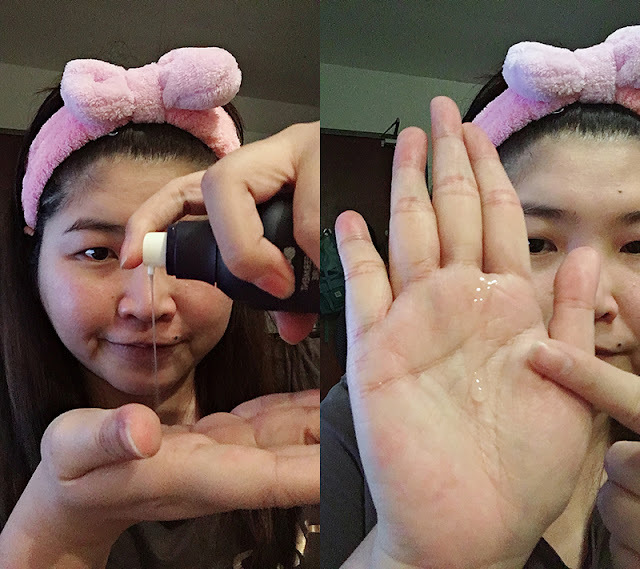 For the face, spray on your palms and apply on face. Apply at least 20 minutes before sun exposure. Natural Active Lactobacillus, Gangwon Deep Sea Water, Sunflower Oil, Carrot Extract, Peach Extract, Cocoa Extract. 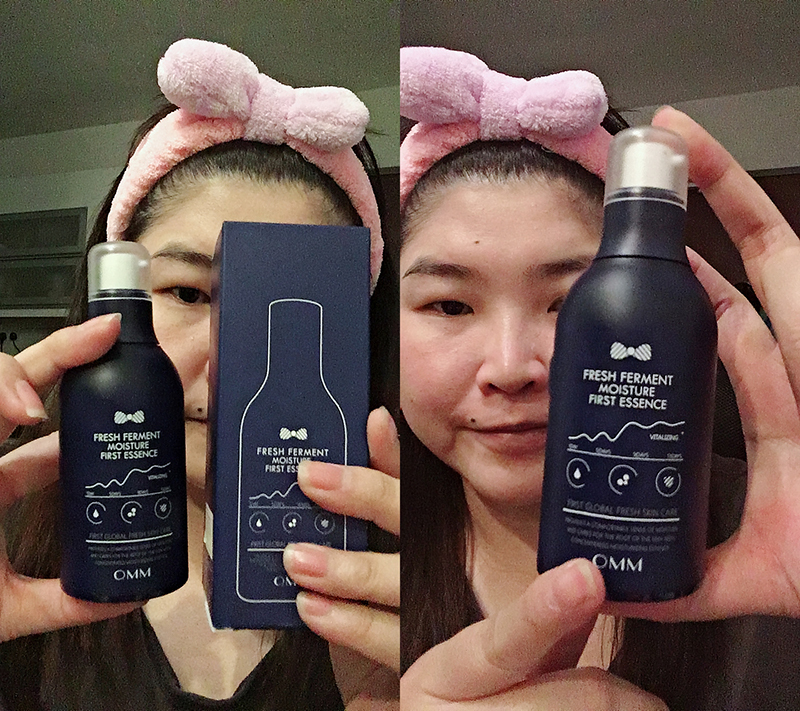 The reason I was interested in getting to know more about OMM was because of this cute milk carton packaging. It features a DIY masking that you needed to prepare yourself in order to use the mask. 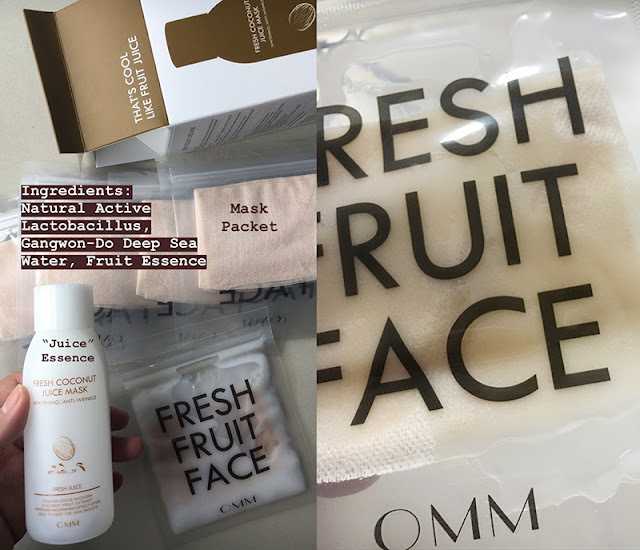 First things first are this fresh face juice mask actually uses real fruit extracts with Lactobacillus and Gangwon-Do Deep Sea Water. There are 5 fruit flavors to choose from - Pomegranate, Blueberry, Aloe Vera, Carrot and Coconut. So each box is painted in the color of the fruit. I choose coconut because I love anything coconut! Coconut water, coconut face mist, coconut hair care, coconut cleansers, scrub you get the picture. So naturally, I picked coconut. I also believe in the beauty benefits of using coconut for the skin. Cocos Nucifera (Coconut) Fruit Extract helps nourish and clarify skin to leave it soft, smooth and even toned. Revitalizes and moisturizes skin. 1. Open mask packet and pour the desired amount of liquid fruit essence into the packet. 2. Firmly seal the mask packet. Squeeze mask to evenly soak up the essence. 3. Unfold the mask and gently place on face for 10-15 minutes. 4. Peel off the mask and discard. Massage residual essence onto skin until fully absorbed. This product comes with a bottle of juice and 7 mask packs. The mask packs are sealable plastic packs, each contains a folded rose fibre sheet mask. 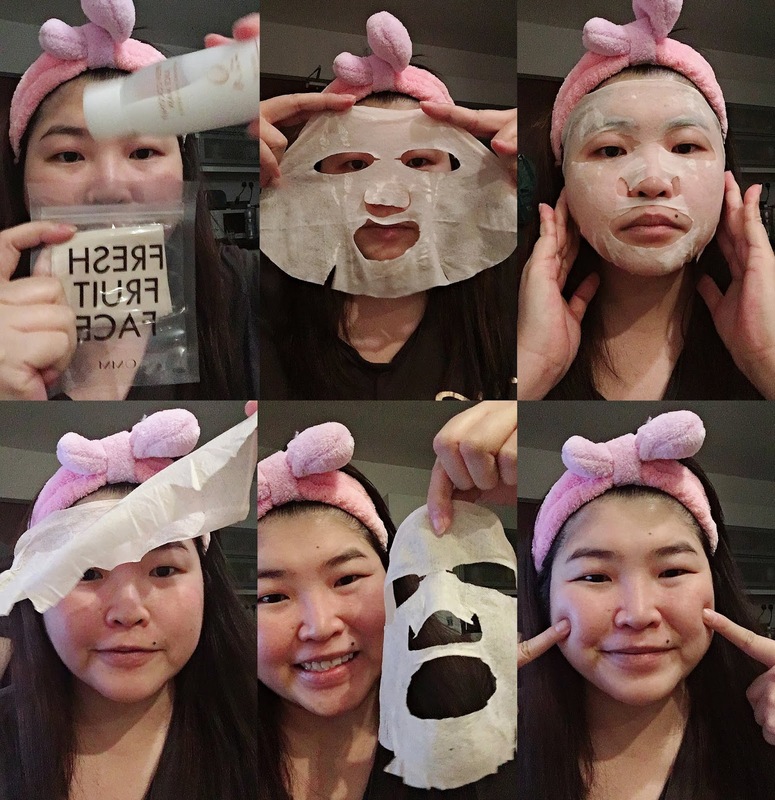 To use, just pour into the mask pack a generous amount of juice (don't be stingy because the rose fibre sheet mask has to really soak and absorb the juices, else it's semi-dry). The rose fibre soaks up the juice and fits nicely onto your face. After 10 mins, it starts to dry up into a piece of paper mache. If you're asking if this can be reused, I say no because I tried that and it started to smell rotten. Why? because this uses real fruit extracts and when coming into contact with bacteria and air, it starts to become bad. That is why the packaging also says that once open, it must be used within a month. Initially, I thought 7 mask packs is too little, I tried to stinge on the amount of juice and that ended up with an uneven wet mask. The bottle is really enough for 7 preparations. Use twice weekly, you'll be able to finish this bottle up. The plastic seal, on the other hand, can be reused if you wash it properly and dry it. I was thinking to go Daiso to buy the mask pills and have leftover Fresh Ferment Moisture First Essence soak this up and use as a mask. In summary, I'm very happy with the testing of these products. Naturally, I love masks and essences because I like having my skin healthy and glowing for my age (ahem). I didn't comment on the 4th product which is an eye cream because I didn't feel that it had any significant difference for me. Mainly because I don't have wrinkles to begin with, since I do a lot of masking. I feel the future of skincare is changing, and with more introduction to ways to bring out the efficacy of an ingredient or method, could help with skin immunity, skin health naturally and safely. Welcoming ferments, bacterias and freshness to my skincare routine. If you are curious, don't forget to read my 1st introduction about OMM and fresh skin care. You can drop by their outlet at Pavilion Kuala Lumpur (next to Old Town Coffee) to get free samples and to learn more about the benefits of Lactobacillus for beauty. Visit OMM Website for more information.